This 30 payline Video Slot take players into the fantasy of surfing and swimming on a tropical island. Tiki Wonders has a variable intensity of exotic animals, delicious cocktails and warm sandy beaches. The Tiki Wonders has a bonus game where you can win 10, 20 or 30 free spins. Update: unfortunately Tiki Wonders is no longer available. Tiki Wonders jackpot slot will whisk you away to a paradise island that could see you winning one of the 2 amazing progressive jackpots on offer in this online casino slot. 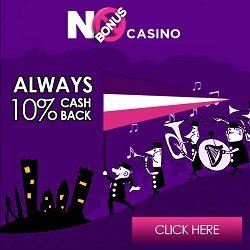 The progressive jackpots are pooled together with Icy Wonders and Geisha Wonders video slots, this gives three times more money in the pot than any local jackpots can ever pay out. The more money you put into the pool the more chance you have of winning. The jackpots are won when either four or five or the golden stars appear on the reels. The smaller jackpot of the two is called the Wonder jackpot while the larger jackpot is the Mega Wonder Jackpot. As with all jackpot prizes, the rules are at the decretion of the provider and are subject to change. Tiki Wonders makes you want to pack your bags and run off to the paradise islands, well if you get the jackpot or free spins you might be able to do just that! The free spins in this video slot can offer up to 30 free spins which all pay out treble what the wins would normally be worth in the main Tiki Wonders game. The symbols are bright and fun and the music is so chilled you will already feel the sand between your toes.